OSHA has issued frequently asked questions (FAQs) clarifying aspects of its new crane operator rule, published November 9, 2018. Employers’ duties under the final rule. View the FAQs on the OSHA website. 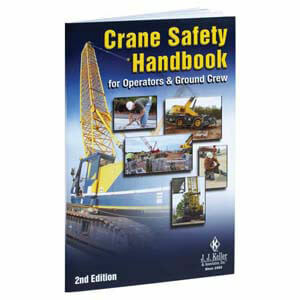 J. J. Keller's Crane Safety Handbook: For Operators and Ground Crew serves as a jobsite reference for the ground crew, crane operator, competent and qualified persons, and others working with cranes.